If a disaster strikes your business, with a recovery plan in place, you can prevent damage to your service, your reputation – and your finances. So being able to transfer your staff to our premises and continue to operate while your own office is compromised is a huge advantage – plus, it minimises the impact of the disruption on your customers. NetSupport BC offers you a dedicated workplace recovery solution should the worst happen. 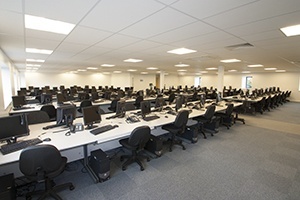 Dedicated suites fully equipped with PCs, phones and internet connectivity, plus extra meeting rooms, car parking and break-time facilities, means that your staff will have everything they need to keep your organisation running and your customers happy, whilst helping you to achieve your recovery time objective (RTO). NetSupport has three dedicated recovery suites. Each suite is an office in itself, or they can be networked together to allow a single company to occupy all three simultaneously. Alternatively, each suite can be segregated from the others in the unlikely event of a multiple invocation. 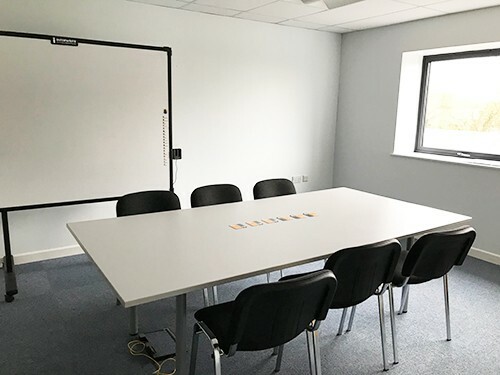 All suites are also acoustically insulated to ensure a quiet working environment and have separate entrances and door access control. Please contact us if you would like to come and view the suites and facilities. 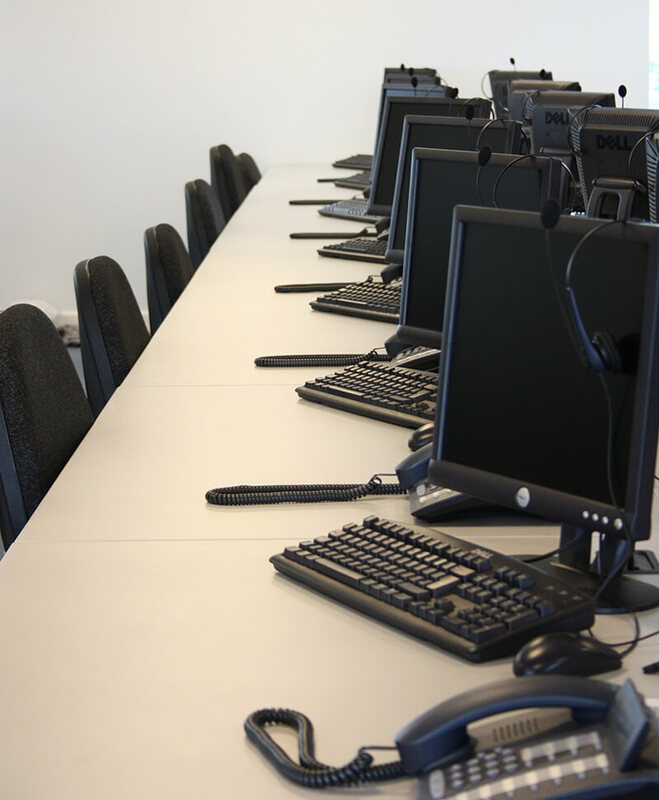 Prior to your arrival, all desktop PCs will be prepared and imaged to your own specification, with operating system and applications deployed from the moment of invocation. Access to printer and fax. Our Business Continuity service is fully resilient and offers optimum redundancy. In other words, we are able to provide full back up of our entire infrastructure – ensuring your data is always in safe hands. 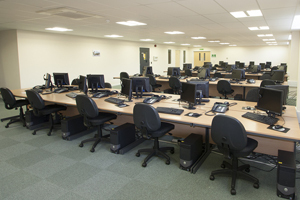 We have two independent and secure server rooms, each equipped with full temperature and access control and fire suppression system. 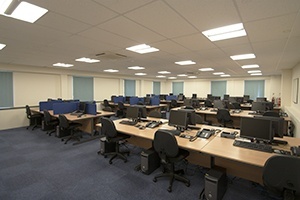 Connectivity between the server rooms and the main BCC suites is via both Cat5 and Cat6 backbone, with triple redundancy. 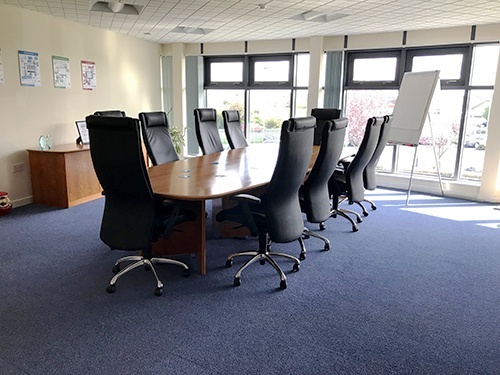 Our connection with the outside world again features optimum redundancy with a BT Net Premium failover leased line entering the building from two different points to avoid the risk of a failure on the main UK network. This provides our customers with data connectivity on-demand, with diversely routed 21CN failover circuit. The entire network is managed by Cisco Pix 2600 routers and both Message Labs (external) and Avast (internal) anti-virus defences. 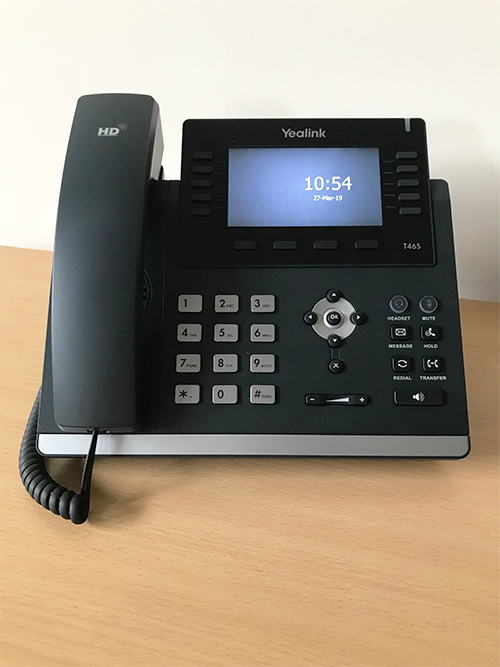 Telephones are key requirement of any business We have just upgraded to the BT Cloud Voice system that is a virtual phone system hosted in the cloud full of all the latest functionality and call management features. Clean and reliable power is critical to hosting operations, which is why we’ve invested in the latest technology to ensure 100% availability. Combining utility and backup generation, we are able to offer full resilience on power feed to the data centres and BC suites. 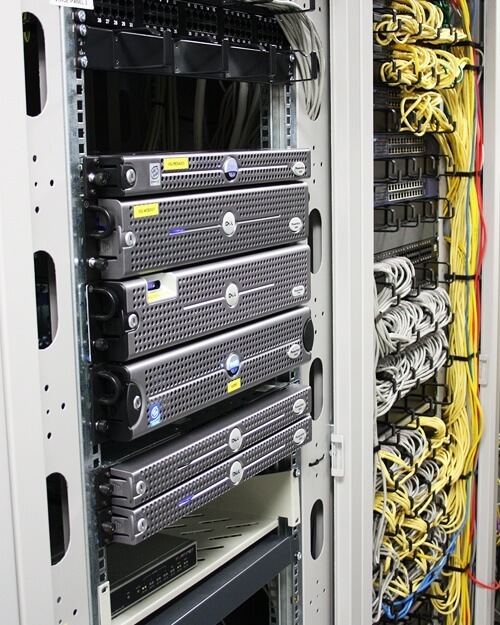 All suites and data centres are fully climate controlled and integrated within our backup power supply grid to guarantee a constant temperature all year round. 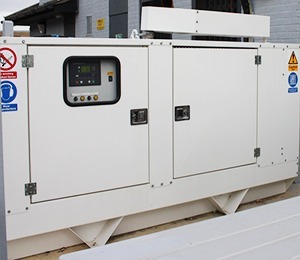 In the event of a network power failure, our three 125kVA Perkins turbo-charged diesel generators with full auto start and remote auto transfer integration will activate within 15 seconds of the power being cut. The system adheres to BS5514A specifications. Each generator has a 350 litre internal fuel reserve and is supported by an additional 1500 litre reserve tank, ensuring independent and continuous operation for a minimum of 12 days prior to re-fuelling. 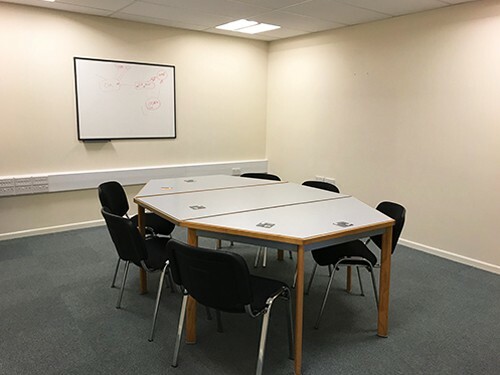 We have three separate smaller meeting rooms that are all furnished and fully networked, plus a Board Room. These can be used as a “War room” or an additional space during an invocation. 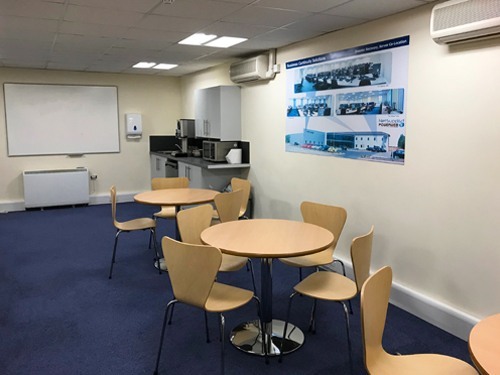 In addition to a safe and comfortable working environment, we also offer facilities for staff to use during their breaks. 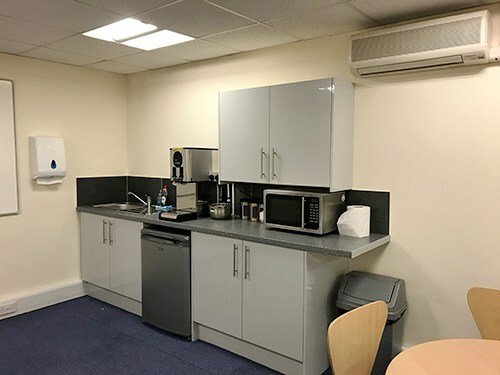 A dedicated kitchen area is available with tea/coffee making facilities, a fridge and microwave, plus a seating area. 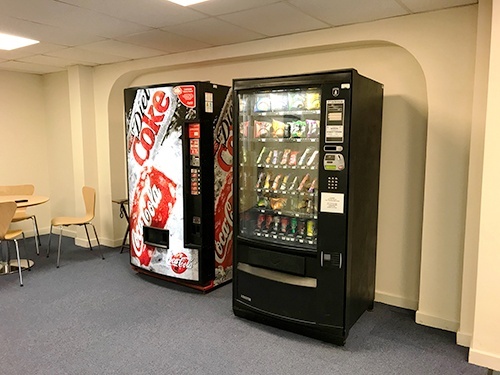 A water cooler and vending machine are also available nearby. 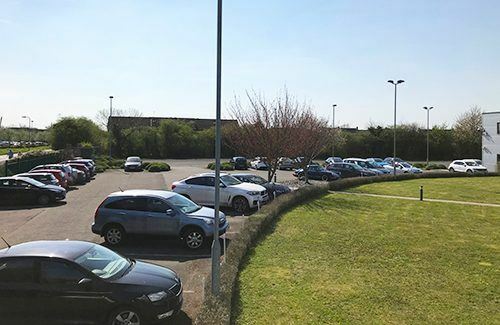 We have three dedicated, secure parking areas serving each of our main Continuity Suites with capacity for over 200 cars, as well as supporting vehicles such as coaches or mobile recovery units. The facilities are monitored via CCTV cameras 24/7 and patrolled by our permanent on-site security team. 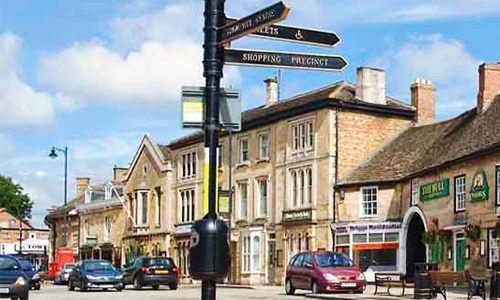 NetSupport’s location in the town of Market Deeping means there are plenty of amenities nearby, including two supermarkets, pubs, cafés, hotels, restaurants, chemists, doctor’s surgery, banks and a range of shops. The city of Peterborough and its train station is just a 20 minute drive away and there are also bus routes nearby. The A14, A1, A47, A15 and A16 road networks are easily accessible – plus, we are within easy reach of London Stansted, Luton, Birmingham and East Midlands airports.